Registration is transferable, but no refunds will be issued for any reason. Inspired by Men and Marvel Movie Effects, Woody Walters was one of the first photographers and digital image makers to bring this look to the portrait market. 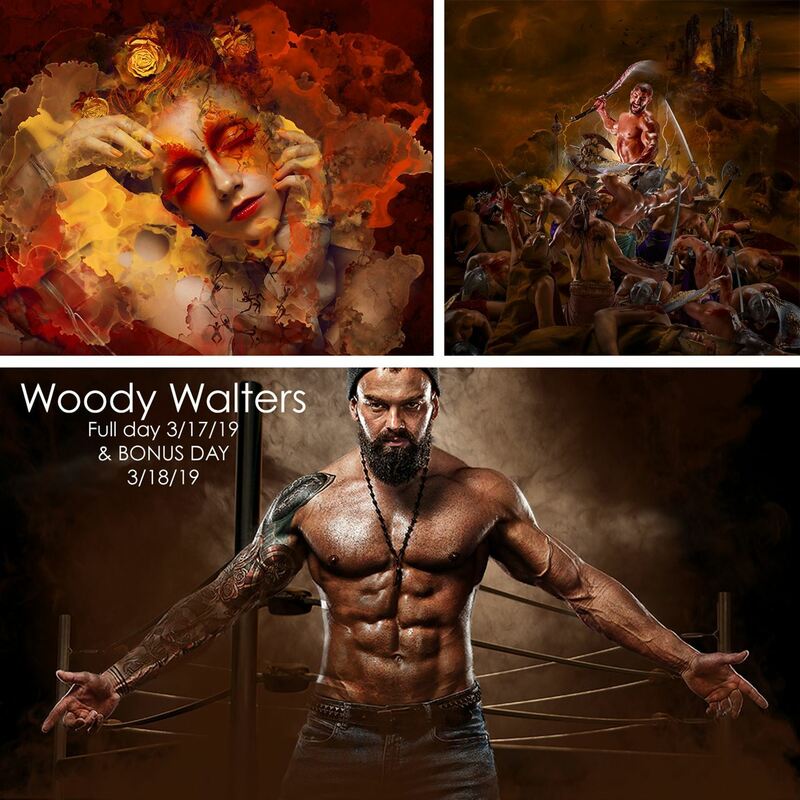 Woody created special effect brushes that enhance any image with incredible effects in just a few clicks or spend hours and create high end composite images that will blow your clients away. Want to learn how to shatter your subjects? Want to learn how to make them break into a million particles, or to dissolve into smoke, or crash into lightning? Want to create a fire in your football composites, or add pretty floral or watercolor effects to your dance portraits? Want to creat the most amazing and easiest to sell sports art composites of your life? Woody developed a series of tools in his ever evolving collection and will teach you the ropes. His techniques are fast and profitable. You can make them as complex or as simple as you want. This class is for all levels of Photoshop and Woody is the man to teach you with 25 years of teaching experience to photographers. His program is high energy and fun and one that will change your perspective on life and photography. You won't want to miss it. During Mondays one on one program, you will need to bring your laptops and you will work hands on to apply these custom brushes to your images.